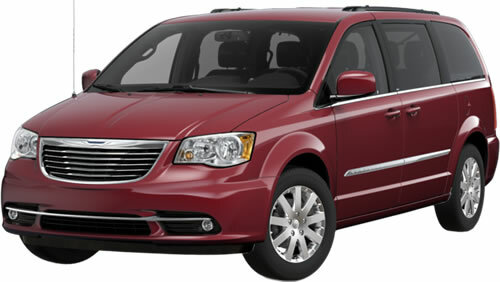 Compare the 2013 Chrysler Town and Country to similar green Minivans. Click any of the suggested green cars at right to compare features side-by-side with the Town and Country. The 2013 Chrysler Town and Country is a E85 Flex-Fuel green vehicle, a Minivan with 4 passenger doors and seating a maximum of 7 people, with a price starting at $29,125. Running on E85 Ethanol, the Town and Country gets 12 MPG City, 18 Highway MPG, a combined 14 MPG.